With a great range of wooden Venetian blinds to choose from, the team at Avalon Blinds is sure that we have something perfect for you. Based in Stoke-on-Trent, Staffordshire, we provide excellence at all times, and there are real wood and faux wooden designs to choose from. We always have samples available, and this allows you to see exactly what’s on offer before making a decision. Find the perfect blinds for your home with us today. Representatives from our company come to your home to offer a free quotation, and this is easy to do once we’ve had a look at your windows. There’s a great range of colours and designs on offer, and you’re given a good look at all products during this consultation. As well as excellent blinds and customer services, we also have a high-quality aftercare service, designed to look after you in the future too. 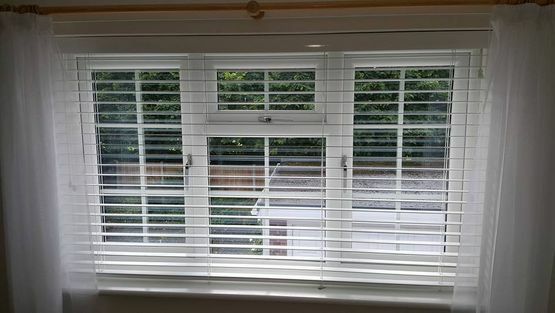 To learn more about our wooden Venetian blinds, CONTACT US, in Stoke-on-Trent, Staffordshire.